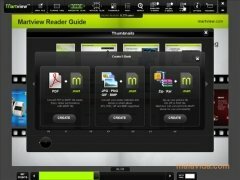 PDF files are the most used when it comes to distributing documents on the Internet, and if you want to open this kind of document and enjoy its contents, you will need an application like Martview, which will allow you to enjoy while you read. 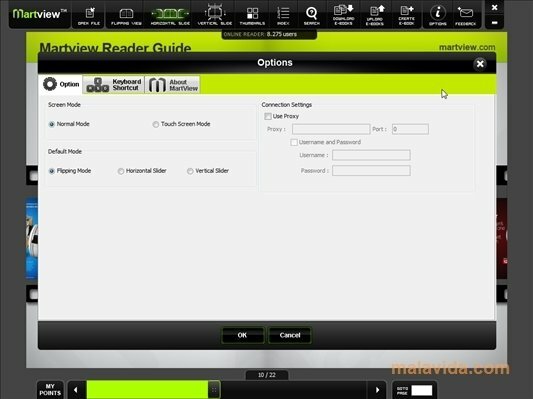 The interface used in Martview is much more elegant and intuitive than the ones that have been used in of other PDF readers, like Adobe Reader or Nitro PDF Reader. 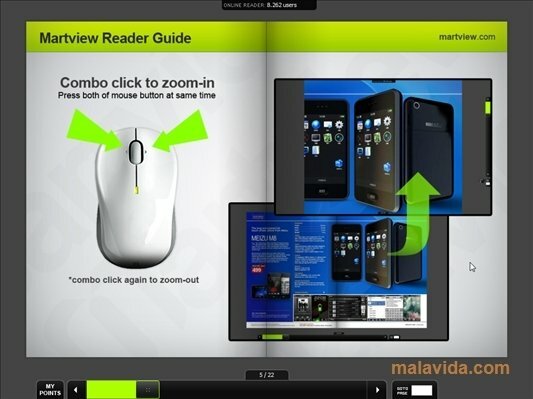 Furthermore, with Martview it's much more pleasant to read, and all distractions are eliminated, because the reading area occupies the full screen, and it allows you to view the document as if it were a real book, with full animation when you change pages. Furthermore, Martview allows the user to create his/her own documents, with a new format, from a series of images or PDF files, with the possibility to share them on the Internet from the application's website. 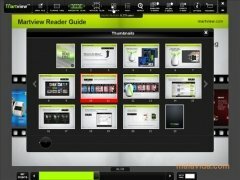 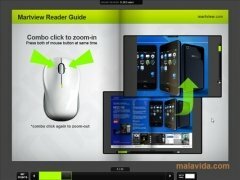 Therefore, if you want to enjoy reading a book or magazine in PDF format, download and install Martview on your computer.